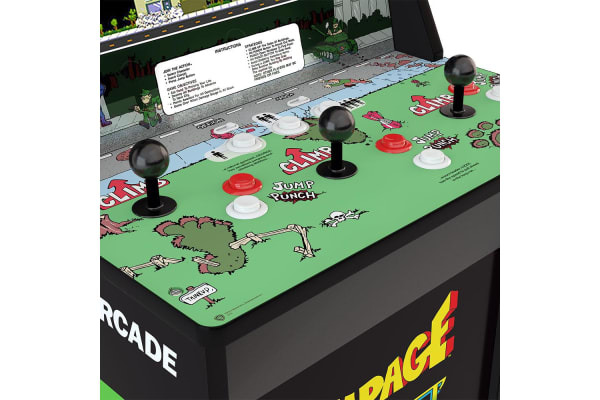 Brace yourself to be plunged back in time to an era of adrenaline pumping, old school fun with Arcade1UP as it brings iconic gaming back to you. 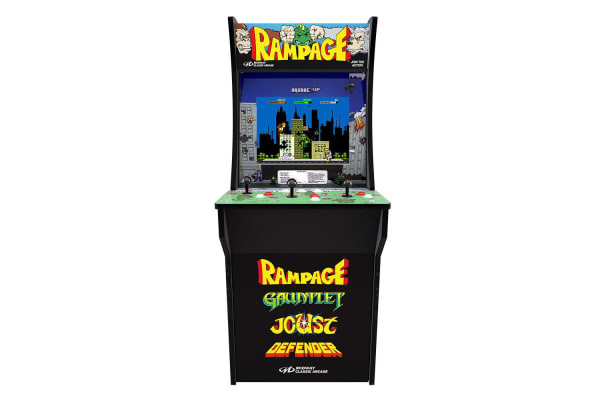 Whether you are a retro junkie or curious to check out the hype – this is the perfect way to enjoy arcade play within your home, dorm room or office. 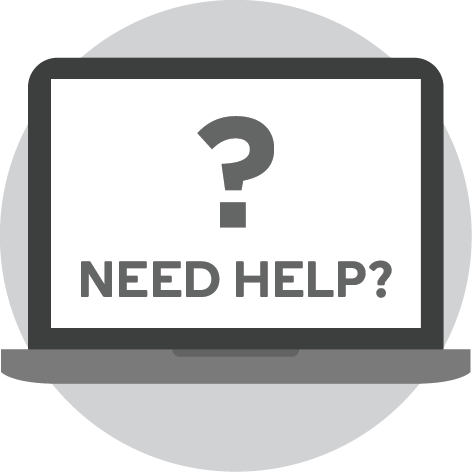 Arcade1UP arcades are available in multiple exciting versions, the just under 4ft tall cabinets include commercial grade construction and coinless operation. All the machines feature the original artwork of all-time iconic games. With immersive full-colour hi-res displays and sounds, and combined with original joystick and control buttons setup, you are looking at endless hours of gaming! Relive the glory days of arcade gaming in the comfort of your own home with Arcade 1Up’s Rampage at home arcade machine! Climb buildings, jump from one to another and smash them down while searching for food. 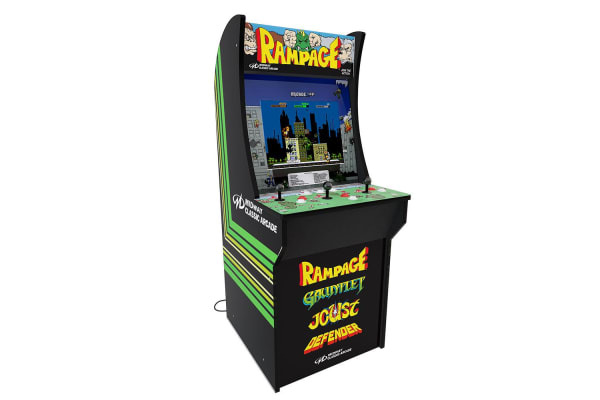 Rampage is being brought back to life, in conjunction with a blockbuster movie, as a consumer arcade cabinet from Arcade 1Up.